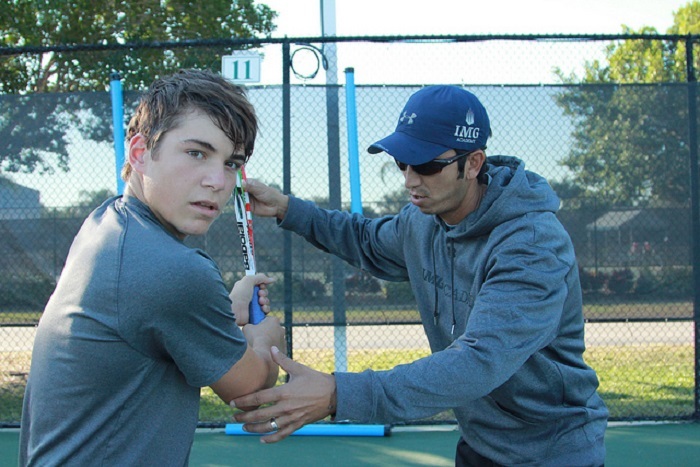 Do You Want to Become a Tennis Coach? This qualification credits the person to teach the youngest tennis players, between 4 and 8 years old, the basic rules of this sport through the Mini tennis and the game. This title also allows working as a School Helper, as long as the technician works supervised by a higher-ranking (monitor, coach or teacher) who directs their functions. To obtain this degree, it is necessary to take a course consisting of two days of face-to-face sessions plus eight practical sessions (about 15 hours in total) organized by the ITF, with a total of 30 hours of theory and practice. To be 16 years old. To possess the license of the federation. This title, also known as Level 1 Qualification, trains the person to teach and train tennis players of basic levels, organize basic competitions and develop activities as an assistant to a senior coach. To obtain this degree it is necessary to take a course of about 250 hours of which 150 are internships in a sports center. Be qualified in ESO or equivalent, or pass a maturity test if you have reached the age of 18. Pass a training test that proves a sufficient level of play. Have the current Federal License. The National Trainer, or Level 2 Trainee, can prepare players of much more advanced levels and make collaborations as a tutor of practices of the students who are taking the Title of Level 1. This course lasts at least 465 hours, of which 200 They are practicing in a sports center. Possess the Level 1 Title. Have the Federal License in force. The Level 3 Degree or National Teacher qualifies the one who obtains it for the direction and coordination of tennis clubs and schools, as well as for the training of high competition players. To have obtained the title of national trainer (Level 2). Have the current Federative License. The price of these courses ranges from $200 that cost the Instructor Course of Mini tennis, to the more than 1,500 that would cost the National Professor, although these prices are always orientated. The Federative License usually costs around $60 a year and the Training Test has a cost of $15. Read also: Do You Want to Start Playing Tennis? And, what is the training or level test? This level test values the skill as a tennis player of the person and requires a minimum knowledge. In the test, the player must perform a series of specific kicks that must be sent to different parts of the tennis court. You must be able to execute services, right and wrong hits, right and backhand volleys, and shots, which will have to be parallel, crossed, short or long as indicated by the evaluator. For each hit made the player receives a series of points, which in total must add 120 points or more to get to pass the training test.